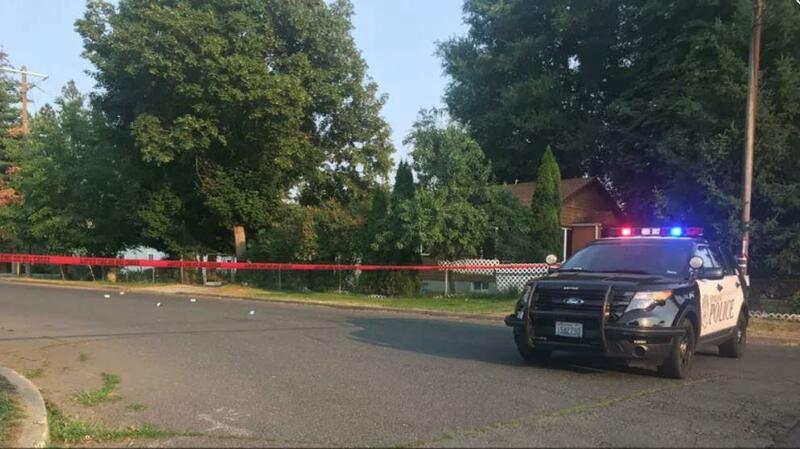 UPDATED: Wed., Aug. 1, 2018, 8:48 p.m.
Two minors were arrested Tuesday after a drug deal devolved into a robbery, car chase, gun battle and crash in the East Central Neighborhood, Spokane police said. No one was injured in the incident, but police said in a news release it was “amazing” no one had been struck by bullets. Police were called to Hartson Avenue west of Thor Street at about 6 p.m. on reports of occupants in a Honda and SUV shooting at and crashing into each other. The Honda crashed into a pole at Florida Street and Hartson, and the occupants fled, police said in a news release. A witness chased one of them and detained him. Police used a K-9 and located two others who fled the car. After the Honda crashed, another witness followed the SUV to a home on the 2100 block of East Mission Avenue, police said. Police detained the driver of the SUV, which had several bullet holes in it. Police believe the incident began when occupants of the Honda met the occupants of the SUV to buy marijuana. But when they met, one of the Honda occupants pulled a gun and robbed the SUV occupants of the marijuana, police said. The SUV chased the Honda from the scene. A passenger in the Honda leaned out a back window and fired a gun several times at the SUV, police said. The SUV driver responded by ramming his vehicle into the Honda multiple times. Two juveniles in the Honda were arrested on robbery and assault charges. The driver of the SUV was released, but could still face charges, police said. Police are asking that anyone with information on the incident to call Crime Check at (509) 456-2233 and to provide the case number 2018-20149433. Published: Aug. 1, 2018, 11:47 a.m. Updated: Aug. 1, 2018, 8:48 p.m.